We're not usually fans of pumped-up, over-the-top, bombastically bravado-laden, too-cool-for-school advertising work but we d like this new work from McCann Worldgroup for Honda's SH Mode 125 scooter that turns a simple scooter ride into an epic adventure of the senses. From raindrops on the face to sun on the cheek to the brilliance of flowers to an explosion of color to time with friends on the beach, this must be a really good commercial. Denny's has renewed its partnership with Warner Brothers to bring even more Middle-earth to Denny's fans with a marketing tie in to the upcoming New Line Cinema/MGM film, "The Hobbit: The Desolation of Smaug." 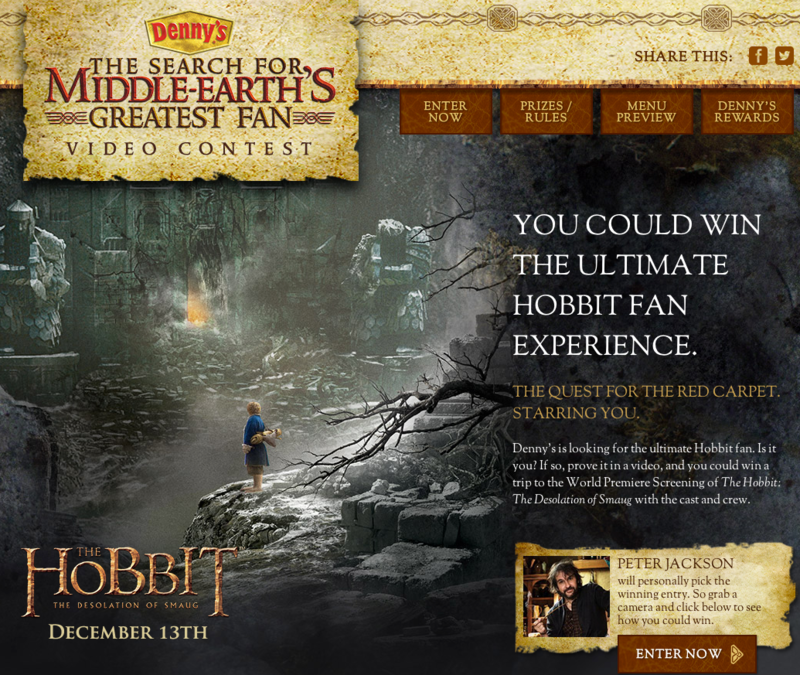 To celebrate the movie, Denny's is inviting Hobbit fans to showcase their dedication in "The Search for Middle-earth's Greatest Fan" contest for the chance to win an exclusive trip to the movie's world premiere screening. Harkening and borrowing from Charles Bukowski's works, this Dewers White Label video entitled "Live True" is, despite what a Dangerous Minds commenter dubbed akin to "mixing Bukowski with that kind of fatuous glib pseudo-anthemic indie shite is like reciting Shelley over the Spice Girls," a beautiful piece of emotionally riveting work that will make you seriously question your direction in life. So last night. The Emmys. As you may have heard, Grey Poupon was nominated for a Best Commercial Emmy for its Crispin Porter + Bogusky- created "The Chase" commercial. It didn't win. That honor went to Canon for its Grey New York-created "Inspired" spot. 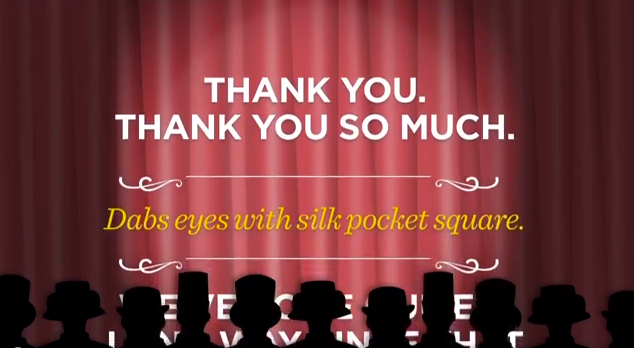 Last night, Grey Poupon decided to release a concession speech made up of tweets and Facebook posts it solicited. At 6:41, the speech is epic...in length. And that's really all. If you decide to watch this four minute Mediacom-created Audi ad that touts the vehicle's awesome gas mileage and which features Homeland star Claire Danes, you'll have to wait until the very end for the payoff. But if you were a fan of Danes when she played Angela Chase on My So-Called Life, you'll absolutely love it. 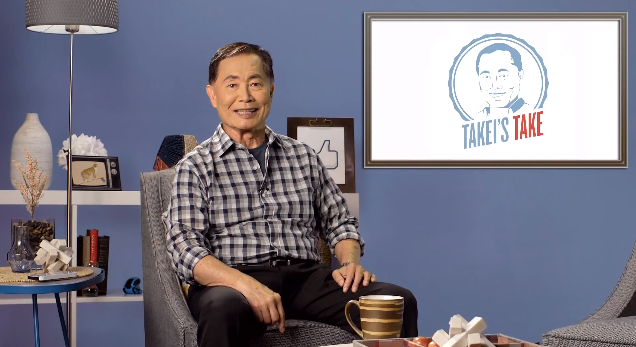 George Takei, perhaps more famous now for his social media wit than for his role on Star Trek, has teamed with AARP for a video series which aims to provide older Americans with interesting and educational technology-focus content. AARP says the series, called Takei's Take,"takes a smart, funny, irreverent look at what is happening in the world of the Internet and how it infiltrates our lives." So perhaps you've seen her videos already but if you haven't you should head over to AdWeek and check them out. We're talking about Lauren Reeves who is a comedian and has been brought in by AdWeek to comment on advertising. In her second outing, Lauren, who's quite hot herself, comments on brands' penchant for likening hot women to cars. Fully leveraging the notion of the "hook up," in-image ad platform, gumgum, is out with a promotional video in which a super hot ad guy hooks up with a super hot image girl to, ya know, make sure we all understand gumgum is all about showing ads and images a really good time by allowing them to seamlessly hookup in orgasmic bliss. The video's tagline? You guessed it. "Enhance your brand's performance." The brand's tagline? You guessed it. "Where images and ads hook up." 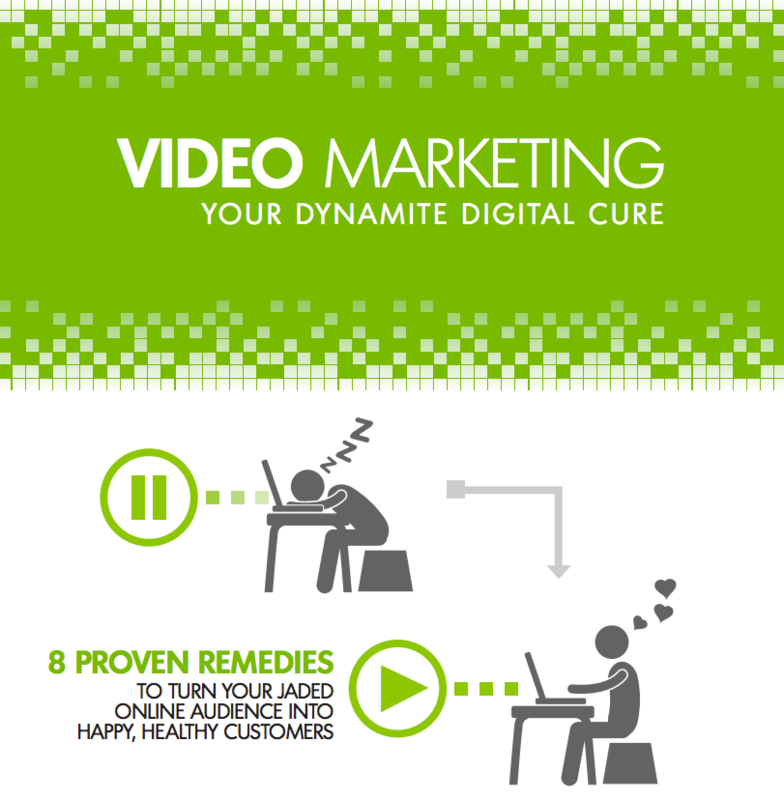 Every time your audience goes online, they get hit with a tidal wave of digital noise. 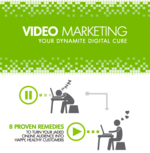 As a marketer, how do you get your message noticed? How do you persuade a jaded online audience to ditch the noise-cancelling earplugs and listen to your story? The answer: Video.